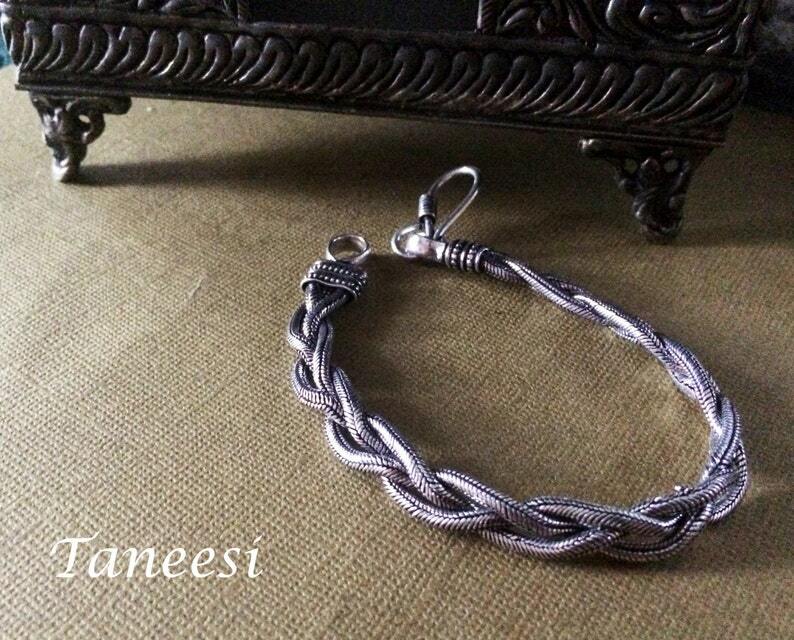 We have woven 3 chains to make them into an elegant piece befitted for Men and Women. A true beauty to own. 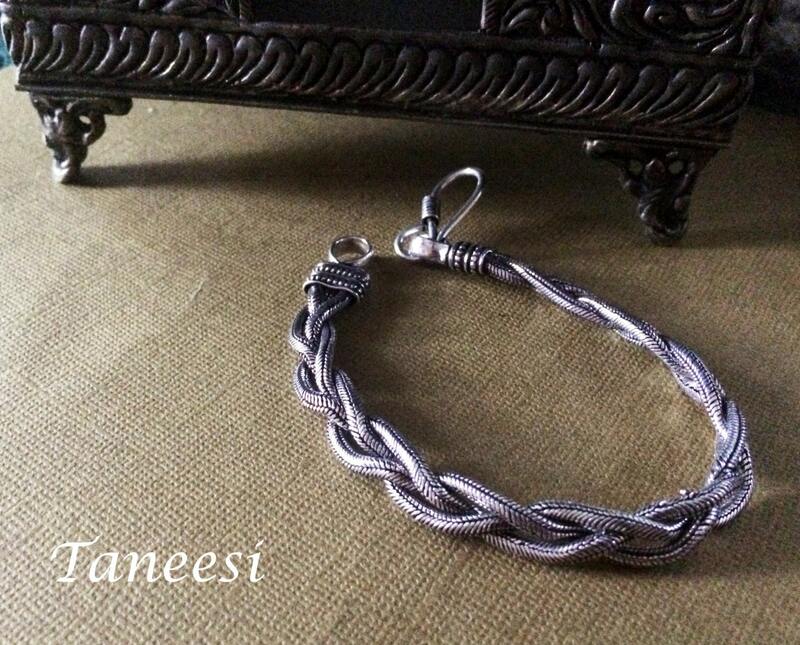 The bracelet is made out of 60% Silver40% brass and is Silver Plated. Please Note: Extensive Water exposure like "Taking a shower" or "Swimming" will tarnish the Bracelet.